A delegation from the Uralungal Labour Contract Co-operative Society (ULCCS) of Kerala visited IRMA on February 19, 2019. 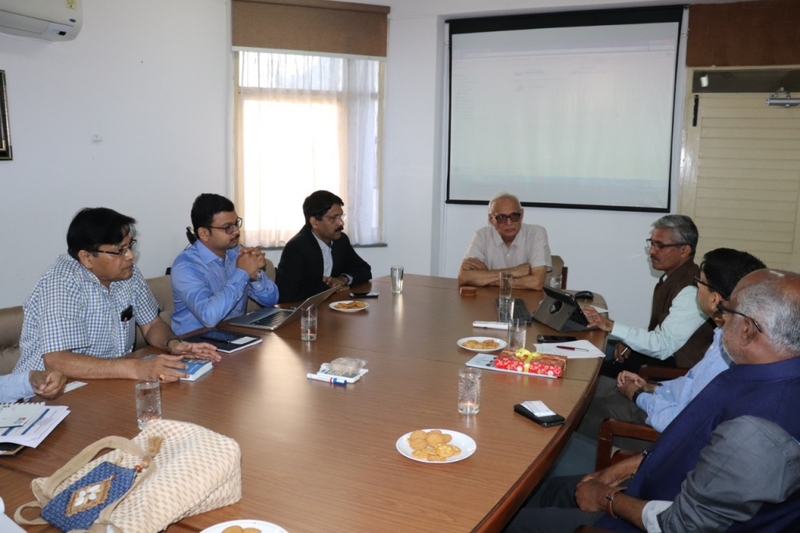 The six-member delegation headed by the ULCCS Chairman, Mr. Remeshan Palery, met with Director (IRMA) Prof. Hitesh Bhatt and Prof. Paresh Bhatt, Chair (in-charge) of the Verghese Kurien Centre of Excellence (VKCoE) to discuss possibilities regarding future collaboration with IRMA. It was indicated during the meeting that collaborative efforts between IRMA and ULCCS could be aimed at mutually beneficial areas including skill development, especially in block chain technology, capacity building, management-oriented programmes and internships. The visit, which holds an enriching promise for the future, was organized under the aegis of the Verghese Kurien Centre of Excellence (VKCoE).